This is a recently exposed virus by online security experts, the Snapchat virus is an assembly of malicious program that exhibits malicious ads, phishing links and infected websites on your mobile devices. It also shows adult based viewing websites which contains aggressive pop-ups which are difficult to escape. Many users are being forcefully hovered by such nasty pop-up ads that takes control of the user’s contacts and send unwanted messages. Also See: Is Vumoo Safe or a Pirate website? Snapchat users get external message links that redirect them to a fake survey scam and lotteries, and other fraudulent websites. In August this year Snapchat’s source code leaked online potentially exposing the company’s confidential secrets. It still remains unclear which and what kind of data the source code contained. “In May 2018, an update of IOS was exposed and a small amount of source code was leaked, a part of this code was even posted online. But we are fortunate enough that this leak didn’t compromised the application and neither it impacted the Snapchat community and business’’. Till today, Snapchat has reached 187 million users, but at the beginning of the year, Snapchat hacks affected 55,000 users. Security specialists stated that Snapchat virus scam was expected as the similar hoaxes as Facebook message, Twitter, and Instagram viruses are spreading worldwide. Due to the Snapchat’s popularity, it’s becoming the best toll for the online criminals to use this site for hacking users’ Snapchat accounts. Some hackers are already successful in break through Snapchat’s security to hack into users’ accounts. Signs to know if your Snapchat account is hacked? It was obverse that many users encounter a peculiar situation where access to their accounts was lost while other users were redirected to new services and features of Snapchat. The Find Friends feature allows Android and iOS users to find friends on Snapchat via mobile phone numbers. In the last 6 years, Snapchat has offered many services starting with video chat, in-app purchases, Snap codes, Emoji characters, online recognition system and many more. However, hackers always have their sight on it. A user may find some unusual activity on their account. Several new friends in the friend list which a user can’t recognize. If someone is trying to log into your Snapchat account, then hackers are possibly on work. When a user detects a login session from an unusual location. Mass account creation on Snapchat through an automated script. While using the social networking sites, we see these websites exhibiting ads to download apps like Facebook, Twitter, Instagram, Snapchat, and WhatsApp. Many user’s questions downloads from third-party websites and app stores. If we talk in particular about the Snapchat app getting downloaded from third-party sources, nothing is guaranteed as an original application. Moreover such apps consist of viruses and malware programs which hacks into your iOS and Android devices. To be on the safer side, we would recommend you to download each app from the Google Play Store if you use an Android device and Apple Store if you use an iOS device. How to get rid of Snapchat Virus? 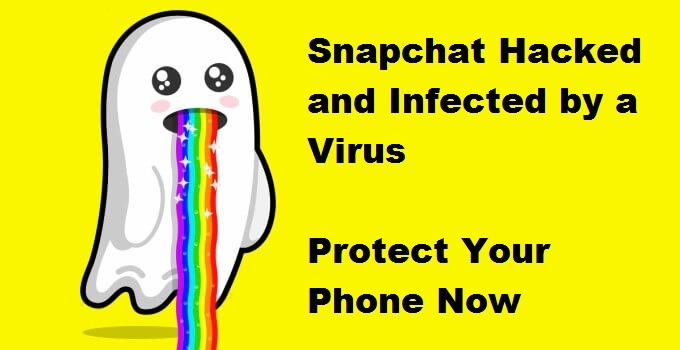 We urge you to remove this Snapchat virus as soon as possible because the longer it stays in your computer system the stronger it will get and will hamper with the functioning of your computer. To gain success in removing this harmful virus, we recommend you to install the best antivirus called Malware Crusher. Malware Crusher scans and detects all common threats from your computer and helps in cleaning them, and makes all infected windows resources with secure and safer variable. Once you have this application on your computer, there is no further need going for other antivirus and antimalware application. It is advisable to install Malware Crusher on your PC in the required setting for a better computer health. Malware Crusher ensures that you have the most updated and superior versions of the software which contains the most critical and emergency updates. Previous Post:Is Vumoo Safe or a Pirate website?